Thornton is a Division II defensive tackle that will have to step up his game at the next level, but he appears to have the tools to contribute in a d-line rotation. He has more than enough size and the foot quickness to make plays down the line of scrimmage and in space. He also flashes the strength to fight off blockers and clog up running lanes, but he struggles to maintain leverage at times and can be blown off the ball. Thornton will have to improve his technique as a pass rusher, however he should be picked in the mid-to-late rounds. Thornton has a large frame and a quick first step. Possesses the range to make plays outside of the tackle box. Delivers an effective initial punch and has long arms to keep blockers at bay. Flashes a powerful bull rush and the burst to get after the quarterback. Lacks the lower body strength to consistently anchor against the run. Plays a bit high at times and can get overwhelmed by bigger blockers in phone booth situations. Does not show a repertoire of pass rush counter moves and can play with poor hand placement and technique. Conditioning is a concern as he gets tired too easily. Published: March 24, 2011 at 04:05 p.m.
Get to know Southern Arkansas DL Cedric Thorton and learn why he says playing at a Division II school gives him an advantage over a Division I player. 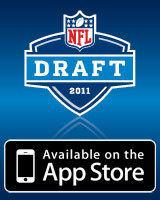 Published: March 14, 2011 at 08:06 p.m.
Watch Southern Arkansas DL Cedric Thornton performs at the 2011 NFL Scouting Combine.